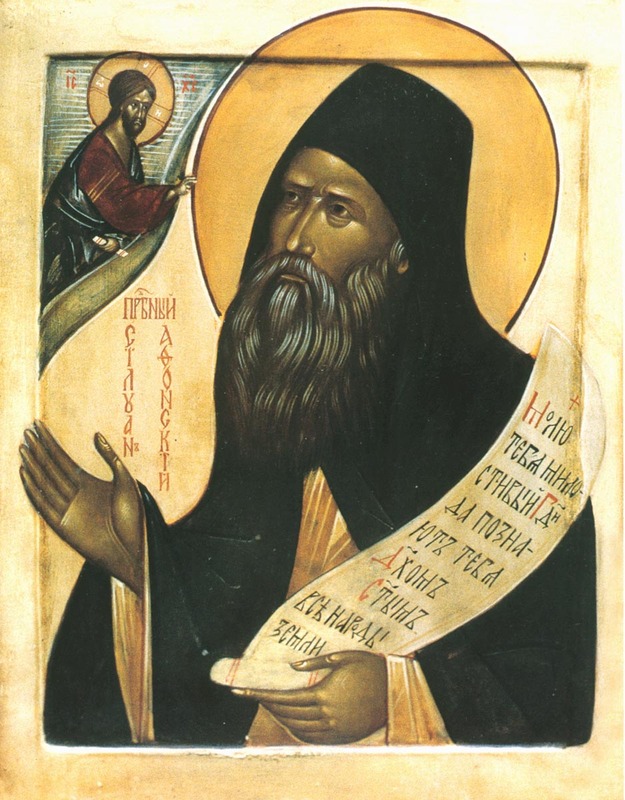 Abba Agathon ca. 4th cent. 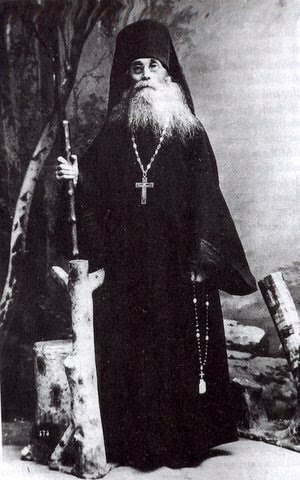 Abba Daniel ca. 3rd-4th cent. 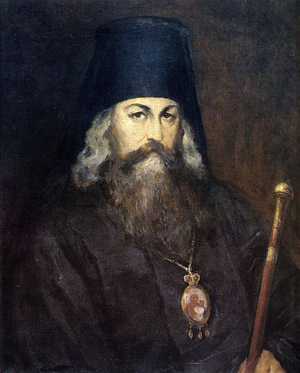 Abba Ischyrion ca. 4th-5th cent. 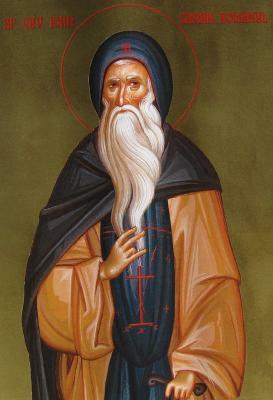 Abba Poemen the Great ca. 4th cent. 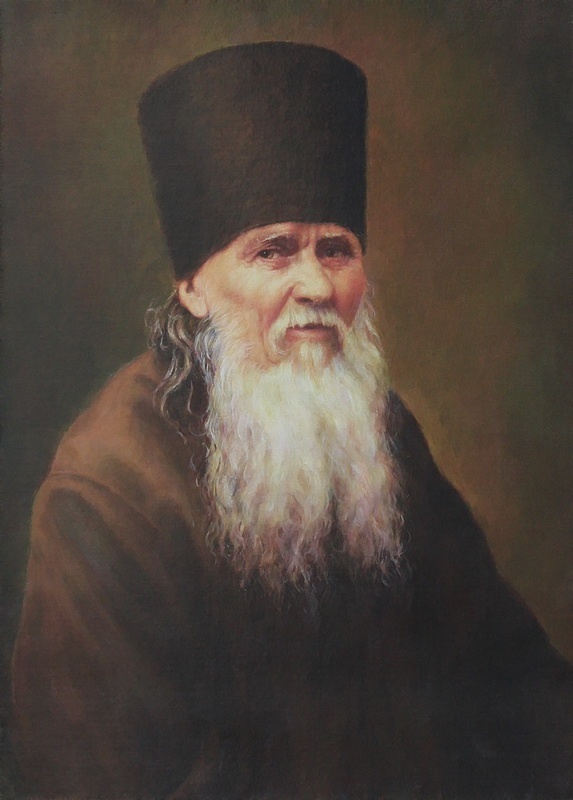 Abba Sisoes ca. 4th-5th cent. 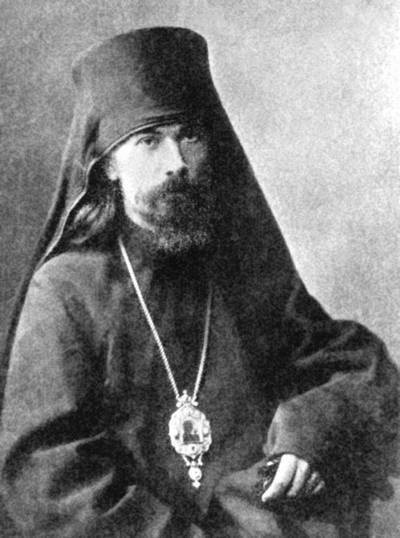 Abba Theodore ca. 4th cent. Alexander of Lycopolis ca. 4th cent. 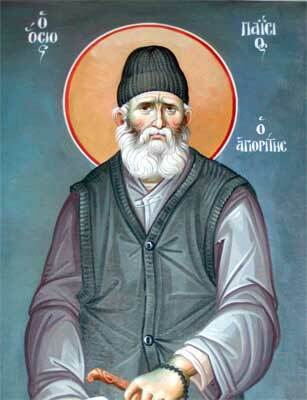 St. Amma Syncletica of Alexandria ca. 4th cent. St. Andrew of Caesarea ca. 6th cent. 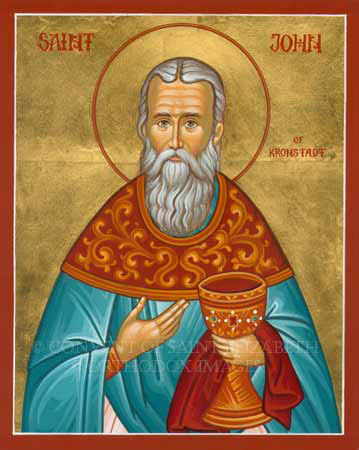 St. Andrew, the Fool for Christ of Constantinople ca. 9th cent. St. Augustine of Canterbury 6th cent. Ss. Barsanuphius and John ca. 6th cent. 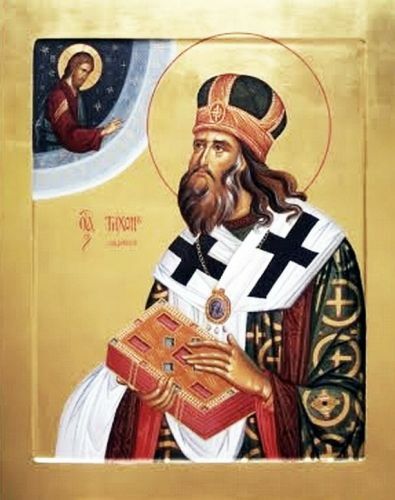 St. Diadochos of Photiki ca. 5th cent. 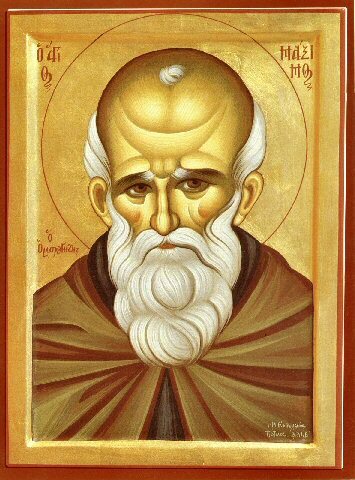 St. Dionysius the Aeropagite ca. 5th cent. Since the times of the Early Church, Christians have been very discriminate about their prayer and in whose company they choose to pray. 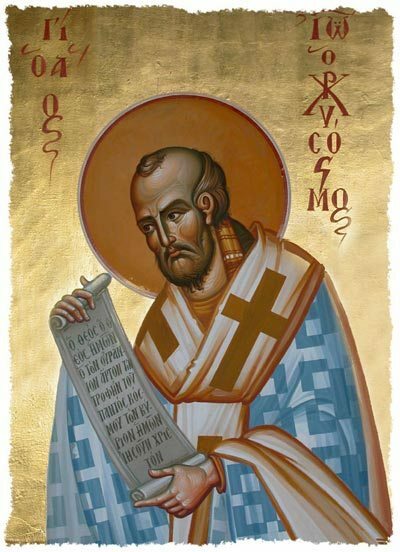 Already in the Apostolic Canons (Canon 65, for example), a document arguably dating back to the end of the second century, both lay people and clergy are prohibited from praying with heretics under the threat of excommunication. 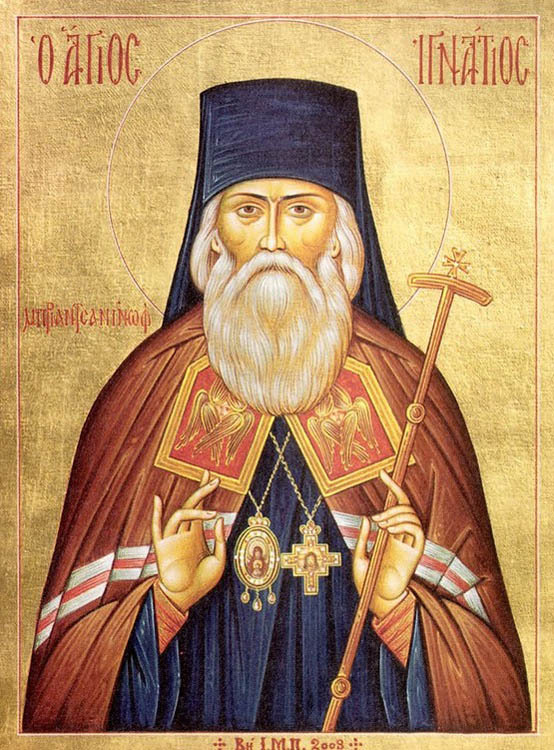 Apostolic Canon 45 mandates: “Let any Bishop, or Presbyter, or Deacon that merely joins in prayer with heretics be suspended…” Similarly, Canon 33 of the Council of Laodicea (ca. 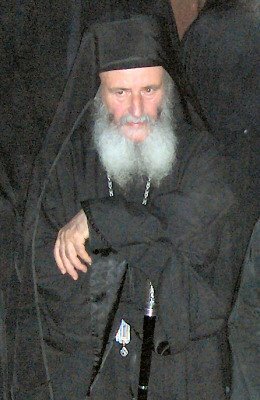 363-364 A.D.) says that “one must not join in prayer with heretics and schismatics.” Yet common prayer is one of the central goals of the contemporary ecumenical movement, including the ecumenical dialogue between Orthodox and Roman Catholic Churches. 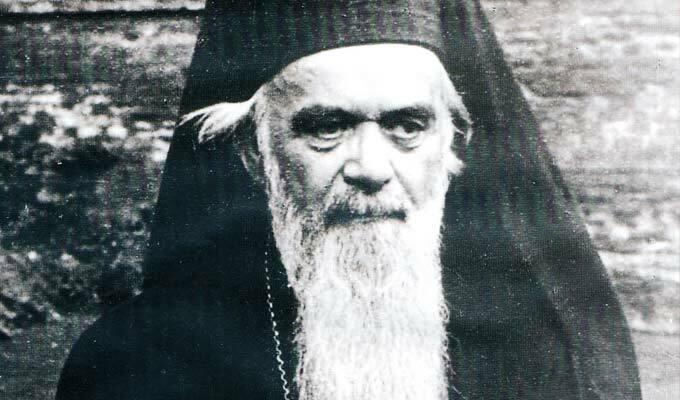 Seemingly in defiance of the ancient canons, Catholic and Orthodox hierarchs have routinely joined each other in prayer, to the joy of the proponents of such practices and to the dismay of opponents. Those working to make common prayer more common argue that the belief in one true God unites the different branches of Christianity and even those outside of the larger Christian community, thus all prayers ascend to the same divine destinations. Opponents often assert that heretics do not pray to the same God, but to the devil instead (cf. John 8:44). 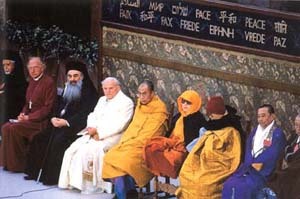 Thus, joint prayer is viewed as impossible (cf. 2 Cor. 6:15) or having the risk of accidentally addressing the wrong “authority”. [T]he ten virgins, of which five were wise and five foolish, symbolize us Christians. 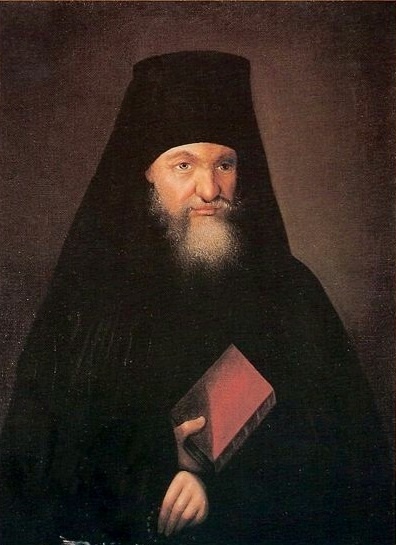 Some of us are wise because of our faith, our virtuous life, and because we are prepared for our death; others are foolish due to their unbelief or cold indifference to the faith, their impure carnal life, and their being unprepared for their death and the judgment that will immediately follow it, for it is appointed for men to die once, but after this the judgment (Heb 9:27). The foolish ones, it is said, took their lamps but did not take oil with them. What do the lamps and the oil for the lamps mean? The the Saviour’s words: the lamp of the body is the eye (Matt 6:22), by “eye” He means the heart of man, or soul. The oil symbolizes alms, according to St John Chrysostom’s interpretation, or good deeds in general. Therefore, the foolish Christians, going out to meet the bridegroom, did not prepare for their souls good deeds, which could have supported their spiritual life. The wise ones, it is said, took oil in their vessels with their lamps, meaning that they stocked up on good deeds in order to worthily meet the bridegroom. 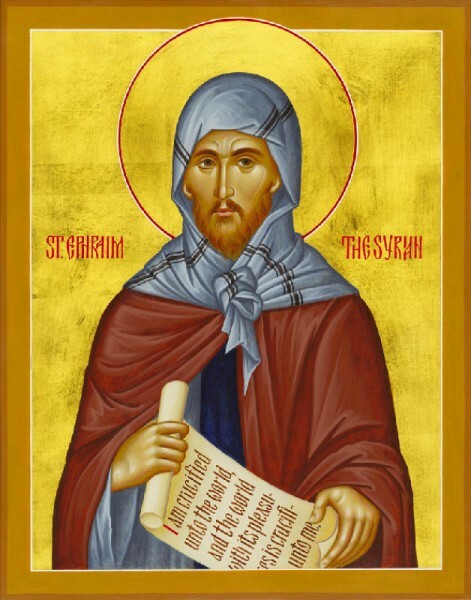 Who is the bridegroom? Jesus Christ. When and how do we go out to meet Him? Our entire lives must be since their beginning a preparation for our personal meeting with Him, because every soul after its death must appear and answer before Him, as to the Author of our life. Throughout our lives we must take care to acquire and preserve in our hearts a living faith and an ardent love for God, so that after our deaths standing before the terrible throne of the Lord of glory will neither be shameful nor to our condemnation. We will go out for the general meeting with Him during our resurrection from the dead, when all who are in the graves will hear His voice and come forth— those who have done good, to the resurrection of life, and those who have done evil, to the resurrection of condemnation (John 5:28–29). 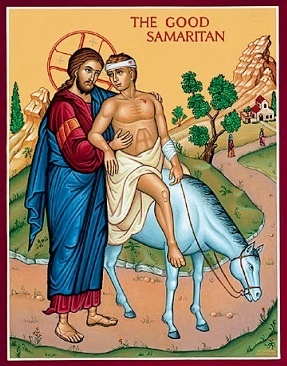 The bridegroom, that is, Jesus Christ, is in no hurry to cut our lives short with death, not willing that any should perish but that all should come to repentance (2 Pet 3:9), and is equally delaying His glorious, and dreadful, second coming so that the sons of the kingdom may multiply more and more. Meanwhile, people, temporarily seduced by the sweetness of sin, by its impunity, and seeing that the world remains stable, think it will remain as such forever, and they themselves, enjoying robust health and other material goods, immerse themselves in spiritual slumber, not caring for their correction, and thus sleep the sleep of sin. However, precisely at the midnight of their sinful sleep, when none among the sinners thinks about the grave dangers in which they find themselves, a loud voice is heard: behold, the bridegroom comes, go out to meet Him. Then all will tremble and light their lamps, that is, will exert spiritual attention. At that time it will be good for the wise Christians: their souls will ignite with the sweetest love for God; but for the foolish, it will be bad. Their souls, like lamps without oil, will die out, that is, they will grow dark and cold from the lack of love for God, the source of love, and will start to taste the torments of hell. They will ask the wise Christians for oil, that is, for good deeds, but those will not give it to them, so that they also may not be opportunities to do them, however, precisely at this time when they wish to do good deeds, the bridegroom will come, death will catch them by surprise, and will place them before the heavenly Judge without any virtues whatsoever, reeking of the filth of their own lawlessness. They will desire to go inside the bridal chamber of the heavenly kingdom, which all of us from birth are destined to enter, the reason for which we live. Their Lord will not allow them to enter, and will say to them: I do not know you. Watch therefore, the Lord concludes the parable, for you know neither the day nor the hour in which the Son of Man is coming. Everyone knows the story about the young man in the Gospels. He approaches Christ and asks how he can inherit eternal life. The Lord replies, do thus and thus. “All this I have fulfilled,” says the young man. “Then if you wish to be perfect,” says Christ, “sell your possessions and give everything to the poor.” This commandment of Christ has profound meaning. The possessions which it necessary for us to give away are those things which we have received from the world. We must take them out of our heart and give them away, so that there will be nothing worldly there, so that Christ alone will be there. I earnestly entreat you — preserve your heart; let it belong entirely to the Lord. Don’t let anyone within it besides your spiritual father, and perhaps also a friend in the Lord. or if he does him some good, then he has spoiled that good by his thirst for praise. Such a man has become an abject slave in all these ways. The Good One gave us freedom, but we have reduced this to slavery. 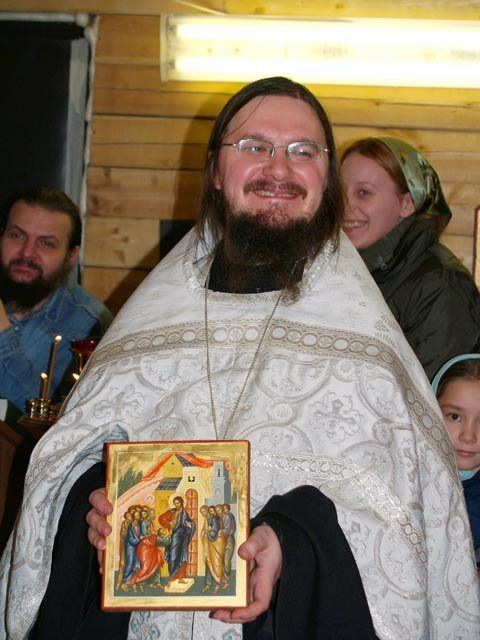 I think that one of the most important problems facing the Orthodox Church in Russia, and even beyond its borders, is the ideological rigor mortis of the Church. The Church is considered as a kind of dead body; it is thought to be frozen and that nothing should be changed in it. It is understandable that we should not change dogmatics and Church Tradition — no one argues with that. However, the problem is that people try to preserve superstitions and false ideology, and, what is worse, they try to hang onto bad remnants of the Soviet period. 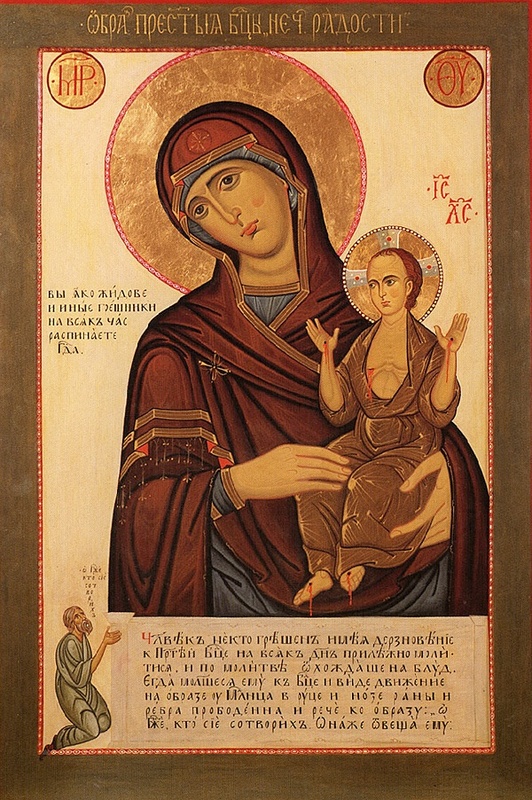 I have traveled throughout the canonical territory of the Moscow Patriarchate, and I see one and the same picture everywhere. 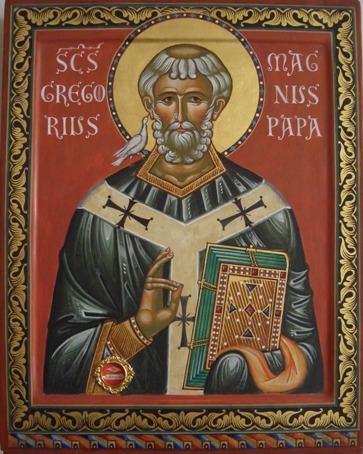 People do not know God or how salvation takes place; and all of their time is taken up with completely unimportant matters such as the minutiae of this or that rite, the details of this or that church policy, or one regional view or another. 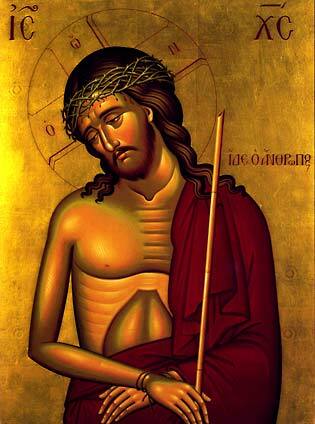 In my opinion, it is an enormous misfortune that people have lost their Christ-centeredness. People have forgotten about the fact that we are, first of all, Christians, the children of God the Father and of Christ, and that we must move toward holiness and salvation. As a part of this, one sees a controversy over the frequent reception of Holy Communion, which unites us with the Lord. Some people think that it’s not that important, that one can somehow “earn” one’s salvation. However, they do not realize that this is the heresy of Pelagius — that one can earn one’s salvation by one’s own effort. On the other hand, the standard of church life that they expound is sinful, pure and simple; it is a distortion of the real Church Tradition. 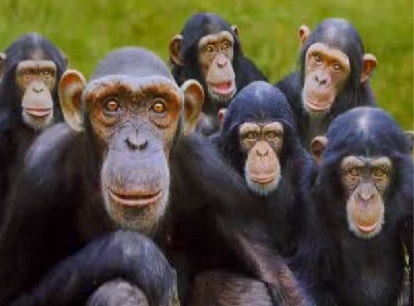 For instance, one hears that Russians, because they are Russian, are already Orthodox. In one article that I read, I saw the assertion that even atheists are truly Orthodox, if they are part of the Russian culture. This is the replacement of faith with culture. 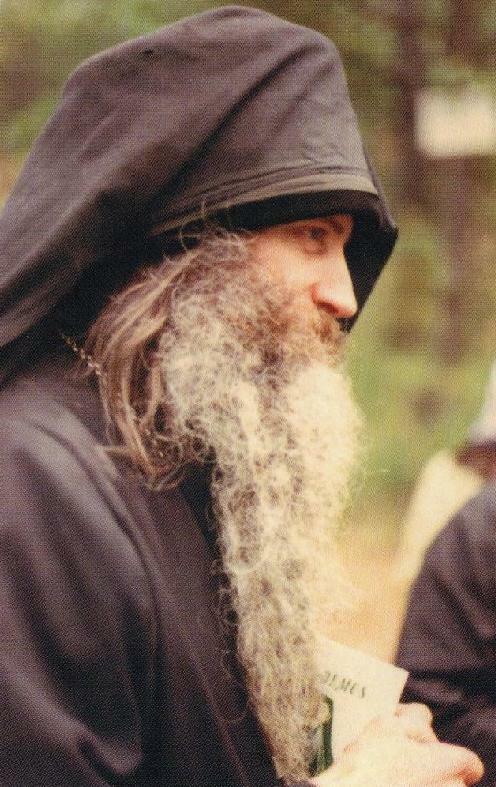 Orthodoxy is God’s revelation, preserved in pure form since the times of the Apostles. One now sees efforts by some to replace the New Testament with national myths, including old ones that the Church has always fought against. …Paganism often disguises itself in the Church under the appearance of Christianity — not in overt exterior manifestations, but hidden under a facade of pietism. People forget that their goal is to reach sanctity. Some of them believe it is a sin even to think of such a possibility, that they could reach sanctity, even though it is a fulfillment of a direct commandment of the Lord. We should spare no effort to overcome this problem. To overcome this, we must issue a new call for people to return to holiness. For this, it is necessary that we revive catechesis throughout the entire Church. Even those who are already baptized should study the Faith. People must know in Whom they believe, and what they should do in order to approach Him. People coming to church see it as an assembly line of spiritual services. They are not offered any spiritual growth; therefore, they go to the sectarians. 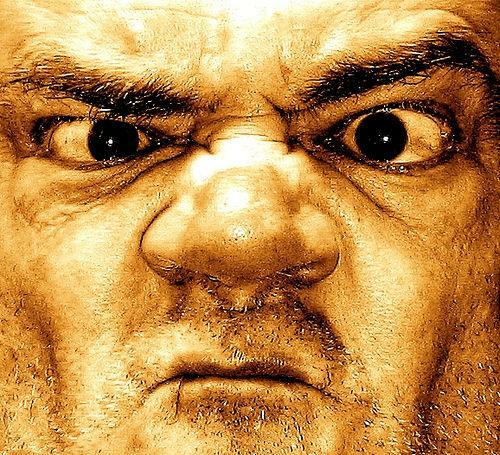 We must keep up the living contact with the older…clergy, even if some of them may seem to us a little too liberal, otherwise we will become lost in the zealot jungle which is growing up around us. As it says in the Book of Revelation: “I wish you were cold or hot. But because you are lukewarm, I will spit you out of My mouth” (Rev 3:16- 17). Dostoyevsky is hot. 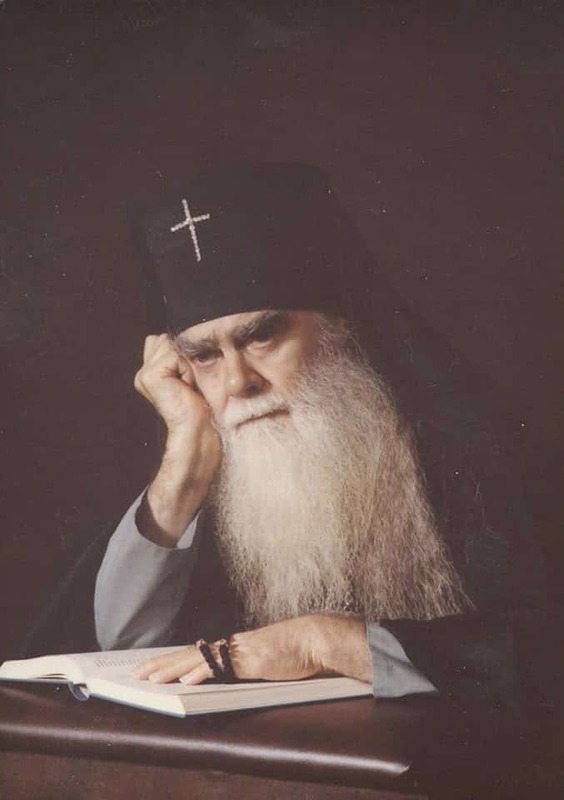 So he says, ‘…I believe in Christ, and if it turns out that Christ is outside the truth, I want Christ, not the truth’. [H]e who will not love his enemies cannot come to know the Lord and the sweetness of the Holy Spirit. The Holy Spirit teaches us to love our enemies, so that the soul pities them as if they were her own children. There are people who desire the destruction, the torment in hell-fire of their enemies, or the enemies of the Church. They think like this because they have not learnt divine love from the Holy Spirit, for he who has learned the love of God will shed tears for the whole world. You say that So-and-so is an evil-doer and may he burn in hell-fire. But I ask you — supposing God were to give you a fair place in paradise, and you saw burning in the fire the man on whom you had wished the tortures of hell, even then would you really not feel pity for him, whoever he might be, an enemy of the Church even? Or is it that you have a heart of steel? But there is no place for steel in paradise. Paradise has need of humility and the love of Christ, which pities all men. Psalm 118:16 On Thy statutes will I meditate; I will not forget Thy words. St. Basil the Great bears witness that in his time children were made to memorize some psalms and parables. Do we do anything like that now? 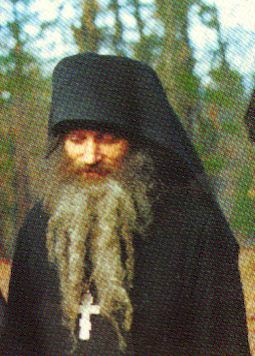 Is anything like that done by those who have taken up the yoke of asceticism? Yes, in many ways we have fallen behind the salutary practices of old. This, however, does not diminish the value of what is described in this verse. It means the following: Memorize verses of Scripture considered in the preceding text, and repeat what was memorized whenever the mind and speech are free. The Hebrew word corresponding to will meditate means “to turn over with delight in the mind and on the tongue” — as one might a piece of candy, for instance. Such an occupation could be offered to all who sincerely seek to please God in all. Among us, amy of those living ascetic lives read the Psalter at home in their cells. This partly fulfills the lesson of our verse. And perhaps home prayers, personal and monastic, could be regarded as this type of activity. But more directly it means: to intentionally choose passages of the Holy Scriptures for memorizing and then repeating them in our minds. Through this last practice, the commandments, having already occupied all the faculties of the soul, shall occupy the memory and sanctify it. The blessing from this is indescribable! …The same thing happens to the soul as to poor fruit when it is sugared. The sugar penetrates its pores, making it sweeter and protecting it from spoiling. Similarly the soul, saturated with memorized words of God, rejects the corruption of shameless and empty thoughts and is filled to sweetness with the memory of things divine. [S]ometimes [vainglory] creates a wish to take holy orders, and a desire for the priesthood or diaconate. 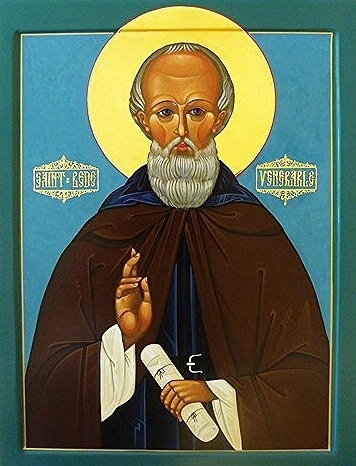 And it represents that if a man has even against his will received this office, he will fulfil it with such sanctity and strictness that he will be able to set an example of saintliness even to other priests; and that he will win over many people, not only by his manner of life, but also by his teaching and preaching. It makes a man, even when alone and sitting in his cell, to go round in mind and imagination to the dwellings and monasteries of others, and to make many conversions under the inducements of imaginary exultation. And so the miserable soul is affected by such vanity–as if it were deluded by a profound slumber–that it is often led away by the pleasure of such thoughts, and filled with such imaginations, so that it cannot even look at things present, or the brethren, while it enjoys dwelling upon these things, of which with its wandering thoughts it has waking dreams, as if they were true. It is written, “Whom God loves, He also rebukes. And beats.” That is how it is written. Merciful God beats him whom He loves. He beats him in the earthly kingdom so He can glorify him all the more in the heavenly. He beats him so he won’t attach himself to the corruption of this world, to the vain idols of human power, skill and wealth, to the passing shadows of ill scandals. [F]rom the beginning of creation [God] separated men into three classes: He gave five talents to one, two to another, and one to another. 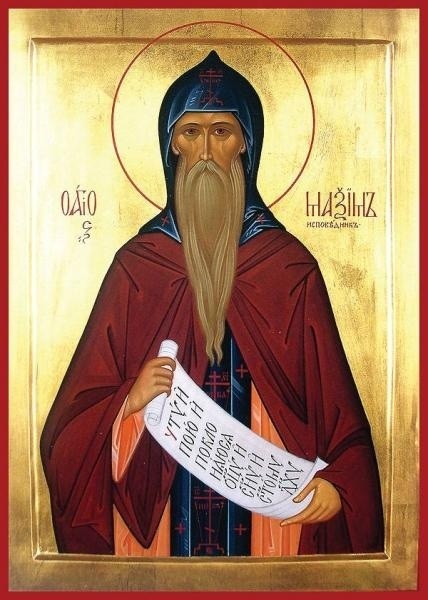 The first one has the highest gifts: he has greater mental capacity and is called “taught by God”, because he receives teachings from God without a teacher, just like St. Anthony the Great, St. Onouphrios, St. Mary of Egypt, Cyril Phileotes, Luke of Steirion, and thousands of others in the old days who became perfect without a guide. The second type of person has to be taught what is good in order to do it. And the third one, even if he hears, even if he learns, he hides it in the ground: he doesn’t do anything. So that is why there is such a big difference among the people and monks that you see. And that is why first and foremost you must “know thyself”. That is, who you really are in truth, and not what you imagine you are. With this knowledge you become the wisest man. With this kind of awareness, you reach humility and receive grace from the Lord. However, if you don’t obtain self-knowledge, but consider only your toil, know that you will always remain far from the path. 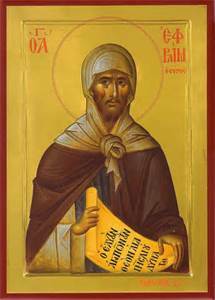 The prophet does not say, “Behold, O Lord, my toil,” but says, “Behold my humility and my toil.” (LXX 24:18) Toil is for the body, and humility is for the soul. 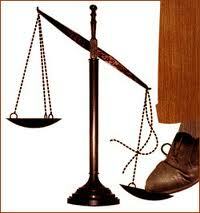 Moreover, the two together, toil and humility are for the whole man. [D]o not read rebellious books or pamphlets that mention Church matters if you wish to be calm, since you are not responsible for such serious affairs. You have need of books that will assist in your repentance. If you want to help the Church, correct yourself, and immediately amendment is made to a small part of the Church. Naturally, if everyone did this, then the Church would be put in order. Consider the man in whom there dwelt a legion of all kinds of devils (Mk. 5:9): they were there though they were not recognized, for their army is of stuff finer and more subtle than the soul itself. That whole army dwelt in a single body. 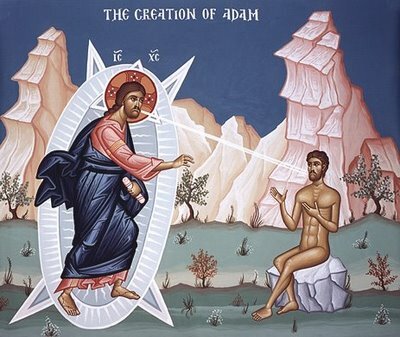 A hundred times finer and more subtle is the body of the just when they are risen at the resurrection: it resembles a thought that is able, if it wills, to stretch out and expand, or, should it wish, to contract and shrink; if it shrinks, it is somewhere, if it expands, it is everywhere. 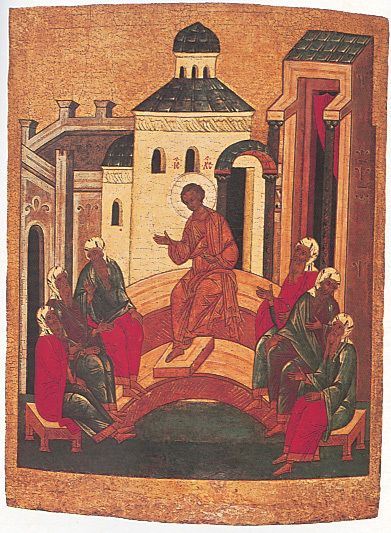 [T]he holy God-bearing Fathers wrote about great spiritual gifts not so that anyone might strive indiscriminately to receive them, but so that those who do not have them, hearing about such exalted gifts and revelations which were received by those who were worthy, might acknowledge their own profound infirmity and great insufficiency, and might involuntarily be inclined to humility, which is more necessary for those seeking salvation than all other works and virtues. (Letters to Monks, Moscow, 1862, pg. 370). Reading spiritual books without instruction, you fear how not to fall into some incorrect thoughts or incorrect opinions. Your fear is well justified. 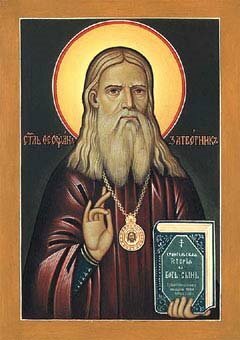 Therefore, if you do not wish to suffer such a spiritual affliction, do not indiscriminately read all manner of new works, even if they are of spiritual content, but are written by those who have not confirmed their teaching by holiness of life; but rather read such works of the Fathers as have been recognized by the Orthodox Church as being fully well-known and doubtlessly edifying and soul-saving. The life of any Christian person can be depicted graphically in the form of an uninterruptedly ascending line. But the Lord does not allow a man to see this ascent; He conceals it, knowing human weakness, knowing that by observing his own improvement it would not take a man long to become prideful, and where there is pride, there too is a fall into the abyss. [Benjamin] Franklin thought up a horrible thing, proposing that people, on special little boards, make note of their successes of the day, of the week, and so on. In this way one can reach a state of terrible prelest, and tumble down into the abyss of destruction. There is this difference, Dearly Beloved Brethren, between the delights of the body and those of the soul, that the delights of the body, when we do not possess them, awaken in us a great desire for them; but when we possess them and enjoy them to the full they straight-away awaken in us a feeling of aversion. But spiritual delights work in the opposite way. 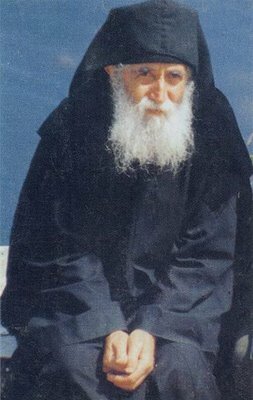 While we do not possess them we regard them with dislike and aversion; but once we partake of them, the more do we hunger for them….For spiritual delights, when they fill the soul, increase in us the desire of them; and the more we savor them, the more we come to know what we should eagerly love. Question: Does the soul have any form? 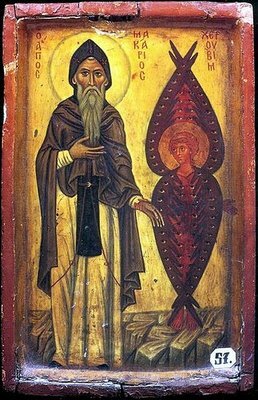 Filed Under: All, Angelic Hosts, Holy Fathers, Psyche/Soul, St. Macarius the Great ca. 4th cent. Prov. 18:17 LXX A righteous man accuses himself at the beginning of his speech, but when he has entered upon the attack, the adversary is reproved. 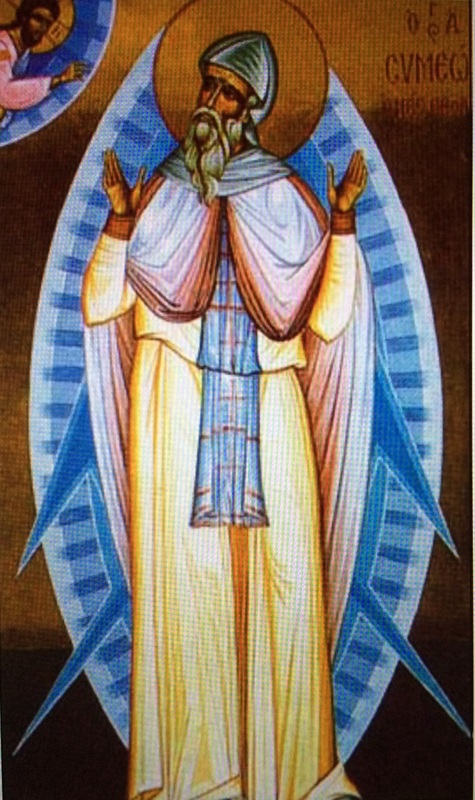 St. Macarius the Great ca. 4th cent. Filed Under: All, Holy Fathers, Psyche/Soul, St. Macarius the Great ca. 4th cent. 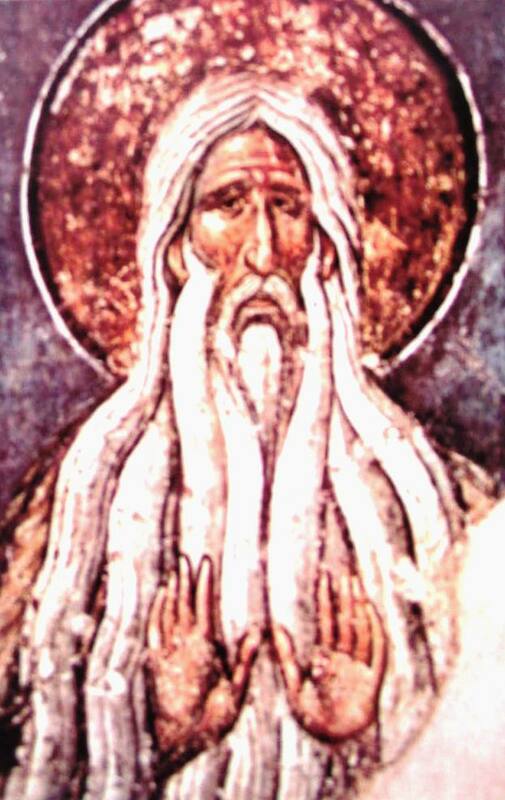 Abba Sisoes the Great ca. 4th-5th cent. 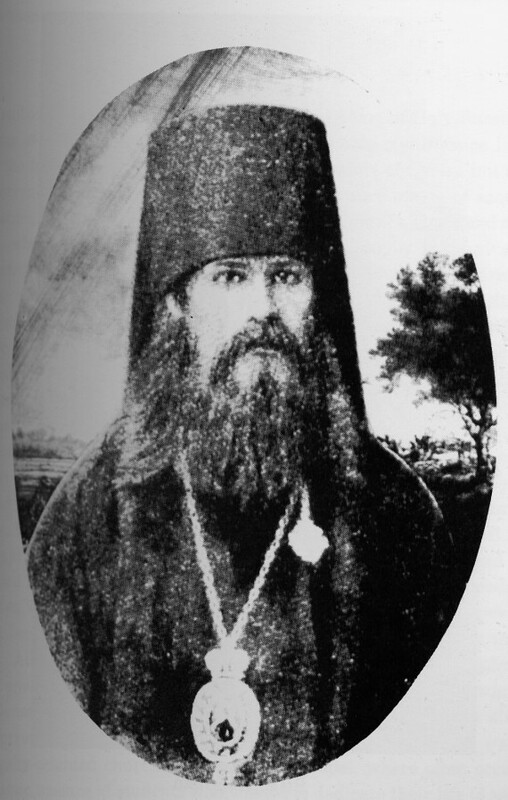 St. Barsanuphius ca. 6th cent. Filed Under: All, Holy Fathers, Psyche/Soul, Ss. Barsanuphius and John ca. 6th cent. Filed Under: All, Psyche/Soul, St. Macarius the Great ca. 4th cent. Rom. 10:2 For I bear them record that they have a zeal of God, but not according to knowledge. A monk must be extremely cautious of carnal and animal zeal, which outwardly appears pious but in reality is foolish and harmful to the soul. Worldly people and many living the monastic life, through ignorance and inexperience, often praise such zeal without understanding that it springs from conceit and pride. They extol this zeal as zeal for the faith, for piety, for the Church, for God. 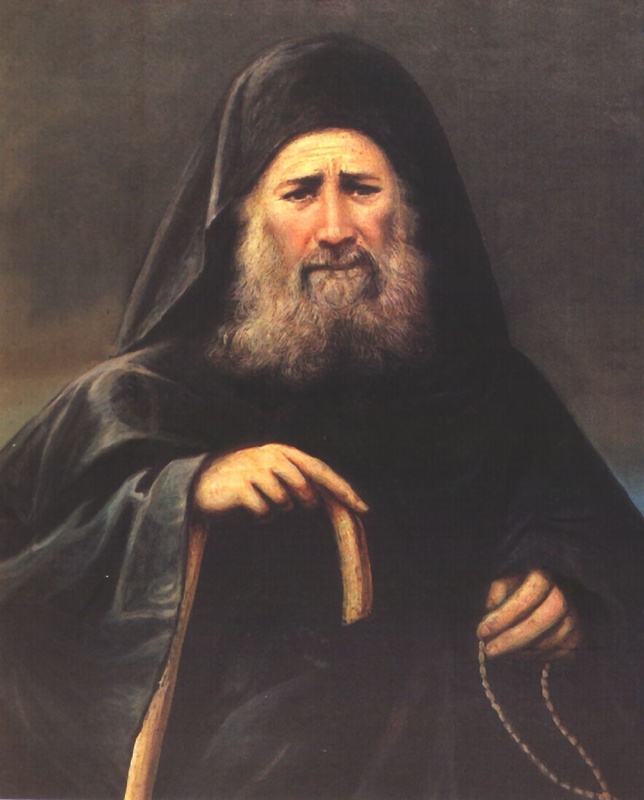 It consists in a more or less harsh condemnation and criticism of one’s neighbours[…] Deceived by a wrong conception of zeal, these imprudent zealots think that by yielding themselves to it they are imitating the holy fathers and holy martyrs, forgetting that they – the zealots – are not saints, but sinners. 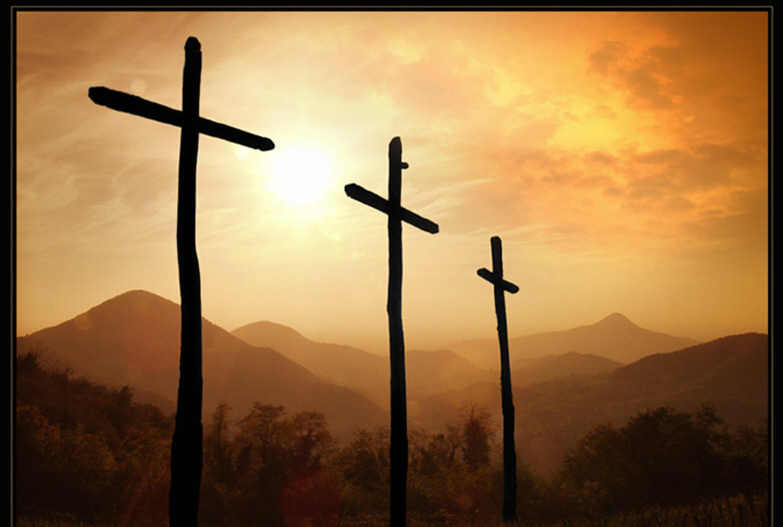 Sin makes man a coward; but a life in the Truth of Christ makes Him bold.